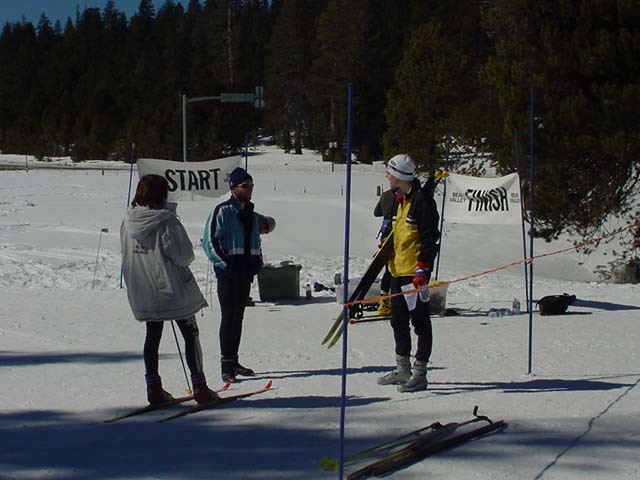 We used three ski-orienteering events to determine who were the top male and female ski orienteers in California for 2003. Only the class for the women's blue course was determined early. 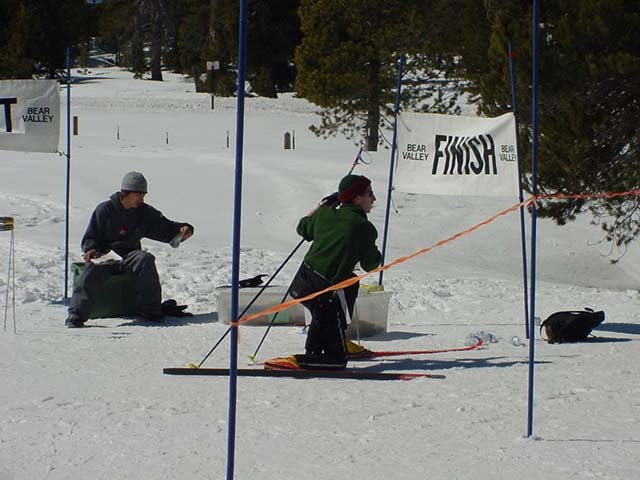 The orange, green, and men's blue classes were not decided until the last event at Bear Valley. The white and yellow classes went unawarded for lack of repeat visits by their participants. 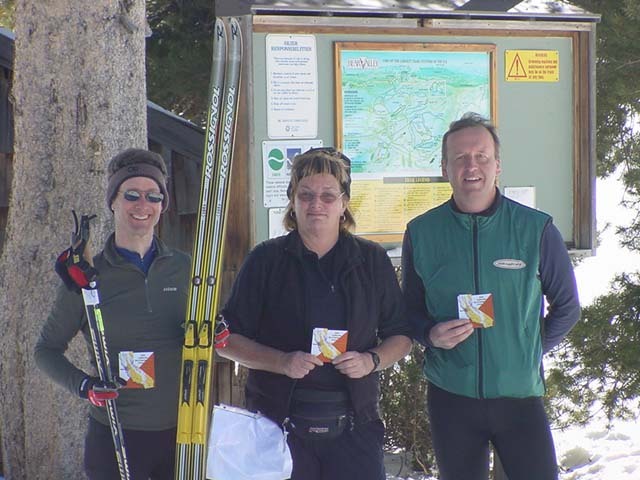 Nancy Lindeman and Blake Hackendorn were the champions on the orange course. 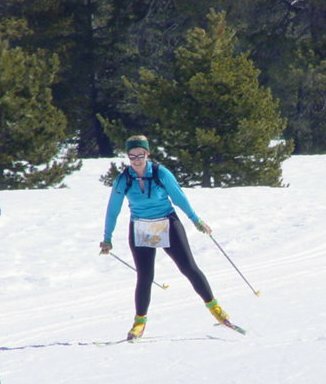 Nancy claimed her first California championships by attending all three events and being the only woman to compete on two orange courses. Blake, a teen XC racer for his school in Truckee, also competed in all three events and had very impressive first place skating finishes at all three events. Dayle Lavine and Bob Baylor were the champions on the green course. Dayle, a visiting orienteer from ROC, attended the first two events and placed second and first, which was what was needed to become the women's champion. Bob Baylor and Bob Cooley (the "battling Bobs"?) each attended all three events and were tied in their championship points. Bob Baylor edged the championship in his favor with a better placing at Bear Valley (tie scores are differentiated by comparing placings at the latest common event). Brenda Giese and Kent Ohlund were both repeat champions on the blue course. Brenda was the only woman to compete twice and was declared the champion by the second event. Kent Ohlund, on the other hand, was in tight competition with Dan Stoll-Hadayia, Ben Wahlstrand, and Alex Krasnov for the men's blue course. Alex directed the last event so he was unfortunately "out of the running" at Bear Valley. Ben had an impressive first place finish at Royal Gorge but didn't compete at Bear Valley. Dan finished just 4 seconds behind Kent at Burton Creek because the string holding the map around his neck broke and he was delayed with repairs. At Royal Gorge, Dan beat Kent, so the competition had to be decided at the third event. At Bear Valley, Dan once again had difficulties with his map and lost to Kent by a heart breaking 7 seconds. Both Kent and Dan, however, finished behind Matthias Kohler, who didn't have a special ski-O map holder...just an elastic strap around his chest. To see how these people rated compared to the other participants see the updated standings. Note that the later events are rated higher than earlier events to encourage continued participation until the very last event. To enlarge one of these photos, click on it. To see a description, hold the pointer over the photo for a second or two. For the third year, we had ski-O events at Burton Creek, Royal Gorge, and Bear Valley to determine the California ski-O champions. 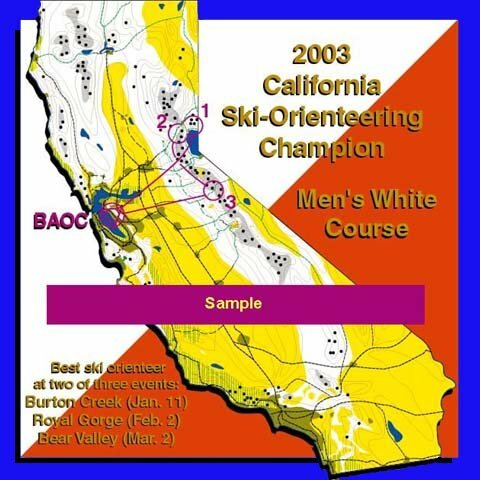 All events had five point-to-point courses for beginners (white), advanced beginners (yellow), intermediates (orange), medium-distance advanced ski orienteers (green), and long-distance advanced ski orienteers (blue). 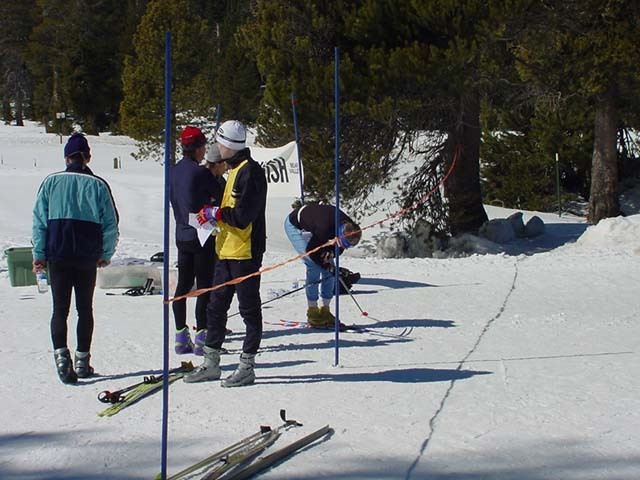 The rules for the championship remained much the same as before except for a minor modification that prevented expert skiers from becoming champions of more than one course. 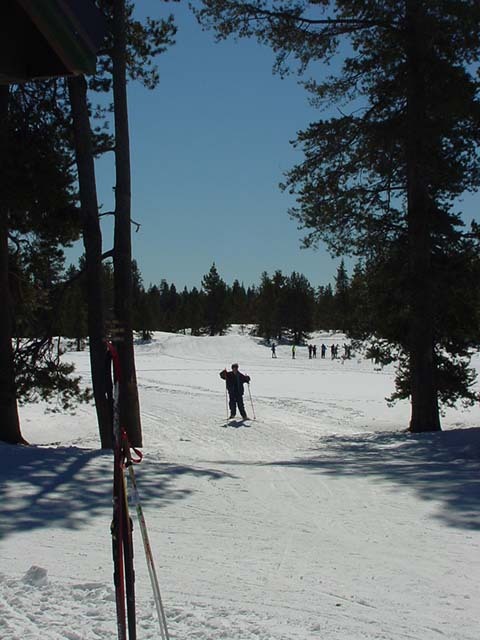 Skiing and weather conditions were good or great at all three events. 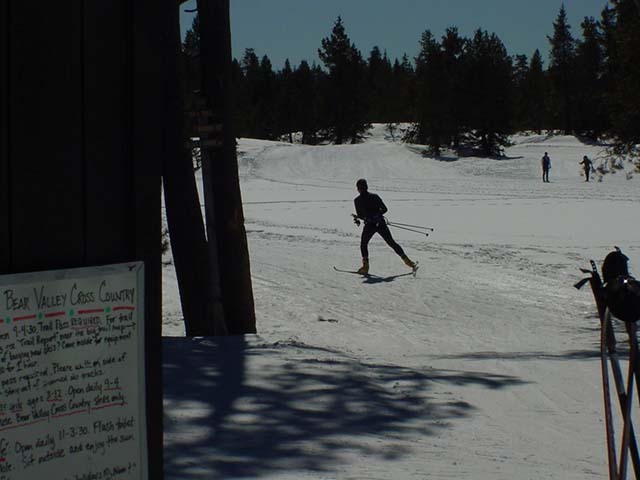 At the first two events, the weather made for great ski-O attendance (40 at Burton Creek and 55 at Royal Gorge), but the last event, which also had terrific weather and skiing conditions, conflicted with the very popular Great Ski Race at Tahoe, which limited our attendance tremendously. This year, Thorsten Graeve directed and set courses at his first ski-O event at Burton Creek. 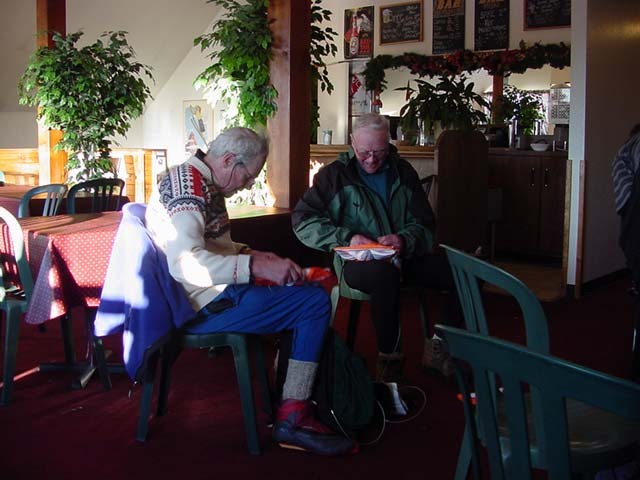 The event was a tremendous success thanks to his careful work, great weather, and good skiing conditions. For a description of this event, see his article on it. Sorry, no photos--The photographer was busy with E-punch operations in the ski lodge and couldn't get out to take any photos. This year, Tony Pinkham directed the Royal Gorge event while Matthias Kohler set courses. This event had terrific weather, terrific skating conditions that lasted all day long, and record breaking attendance for BAOC. The only draw backs were with a mixup of E-punch units and a misplaced trail. Thanks to E-punch, however, everything was recoverable. For a description of this event, see my writeup. Sorry about the lack of event photos--the photographer was once again preoccupied with other duties. 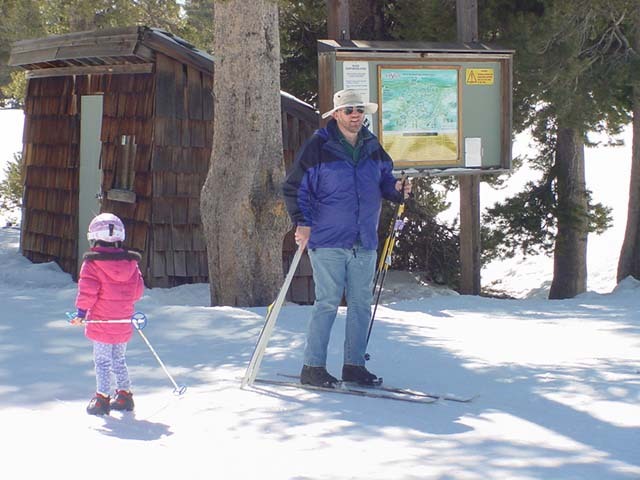 Alex and Yelena Krasnov made their debut as BAOC ski-O director and course setter at Bear Valley. 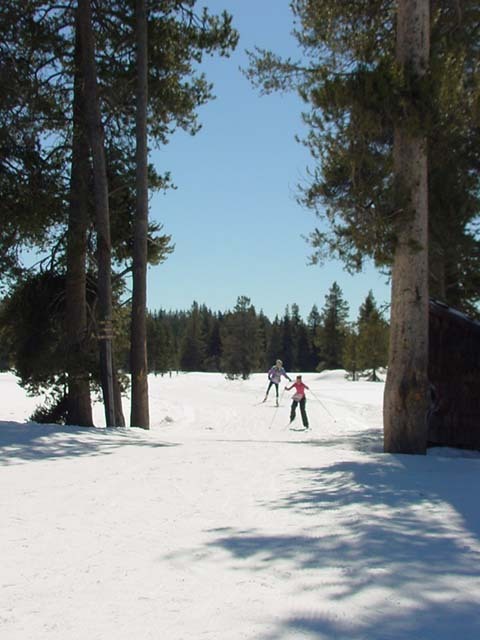 They put a lot of work into the event by making numerous trips to the resort to prepare for the event but were plagued with melting snow that shut down a couple key trails for their longer courses. They put in a tremendous effort at the last minute to make those courses happen anyway. Again, we had great weather and terrific skating conditions that lasted most or all day. Attendance was low because the event conflicted with a popular ski race, so next year we'll have to make sure we avoid that conflict. For a description of his event, see Alex's writeup. 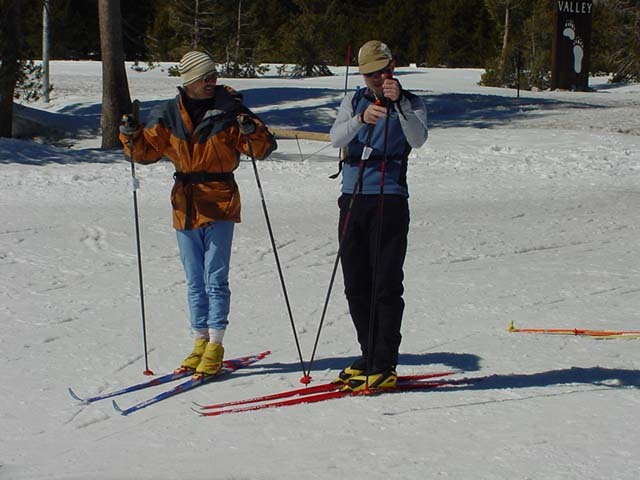 We've already started to plan for the 2004 ski-O events. It appears that all three resorts want us back, and there are two or three other possibilities to choose from for one or more new venues. What we do depends on who steps forward to direct and set courses. If interested, let me know (I readily train new directors and course setters). If we have more than three days of events, we can add to the number of qualifying days for the champs, which makes things all the more exciting. There is no reason that four people couldn't get together to host a two day event (two people hosting each day). Possibilities include using our Spooner and Fallen Leaf Lake maps. 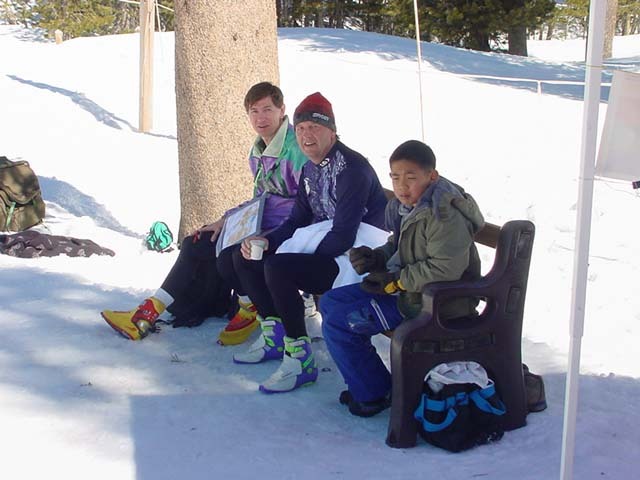 There is also a chance that we'll have a Tahoe Donner map available. 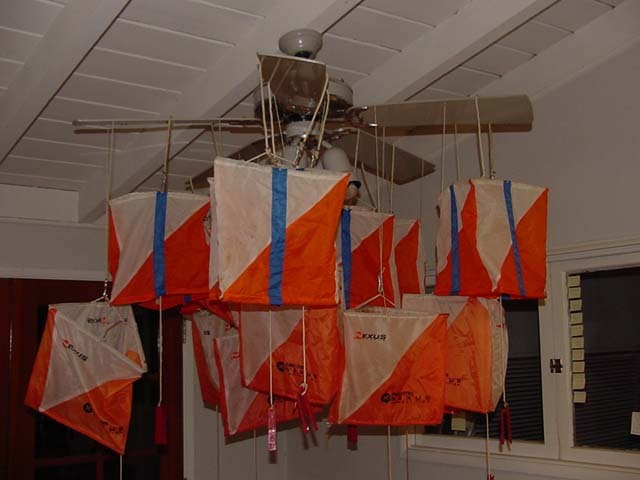 Event directors will be encouraged to plan score-O courses in addition to point-to-point courses. This way if a big storm or snow melt closes some key trails, we can still have an interesting event. Unused score-O courses can always be used for the following years. 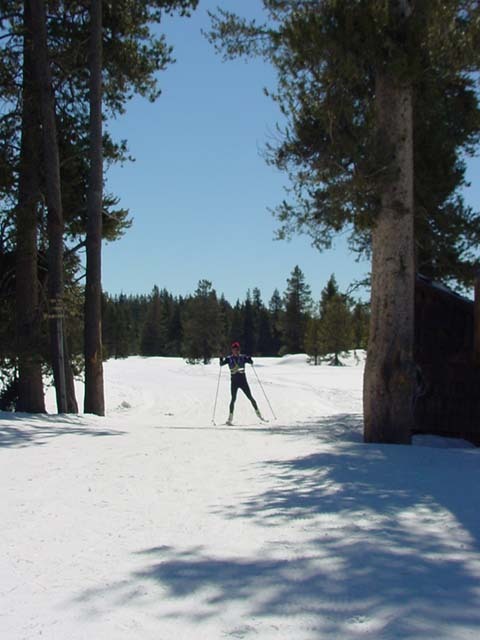 Venues better suited for score-O courses can use that format and the results will count for the California Ski-O Championships. 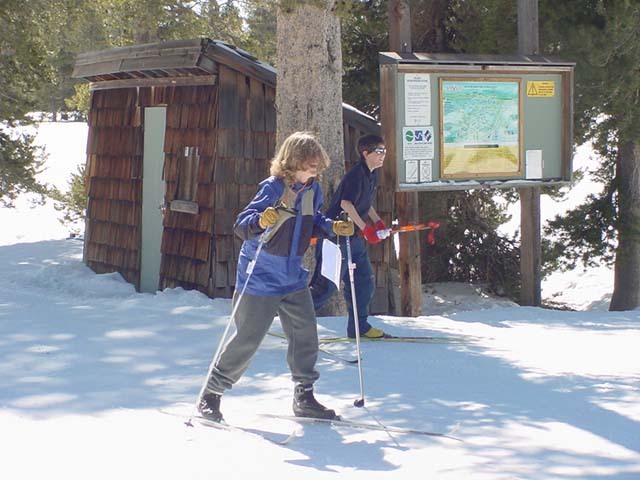 Resorts that have a large portion of their trails in loops that cannot be connected with bushwhack trails are great for this. 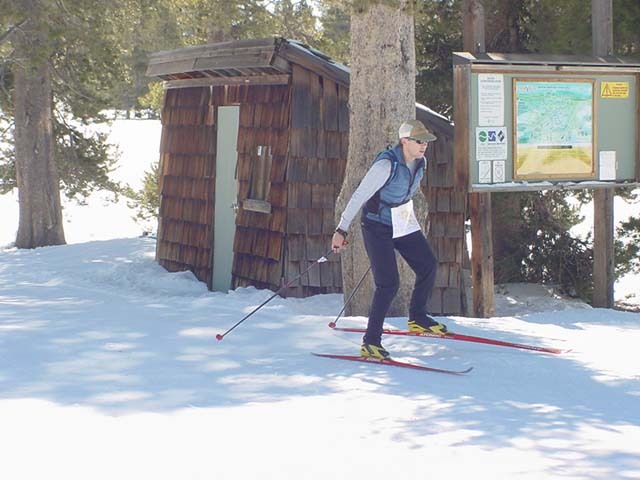 We will explore the possibility of having a classic ski event on a true orienteering map where there are no groomed trails. 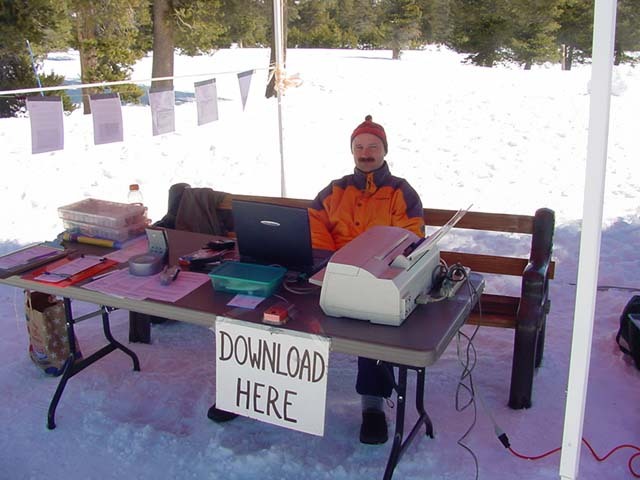 This will mean having a number of volunteers create the trails with their skis the day before the event. 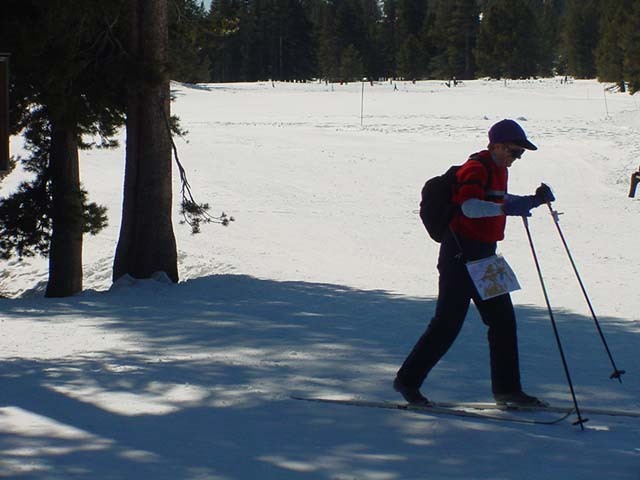 I'll look into including our events on some cross country ski race Web sites. To help us anticipate the possible increase in entries, I'll include preregistration for people using non BAOC resources. 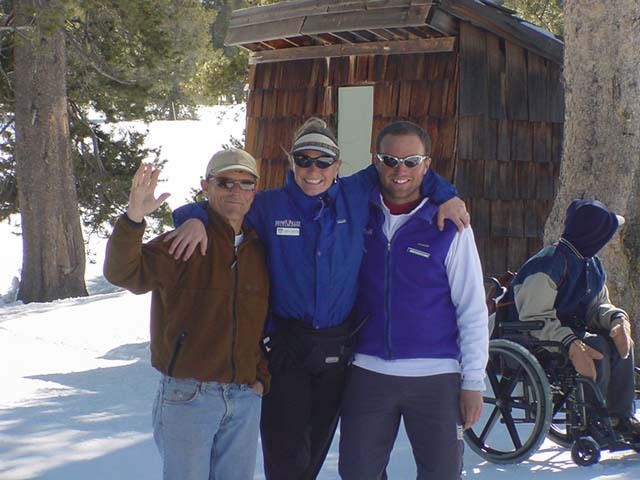 If you'd be interested in helping out, let Tony Pinkham know so he can include you on the 2004 ski-O mailings.